I once said that my Papa is a creature of habit most especially when it comes to his dining preferences. Well, I guess the apple does not fall far from the tree as I would catch myself going through certain routines once in a while. Take for example every trip I make to Cebu City. Three things are for sure: First, I get to eat lechon (lots of it!). Secondly, I have to hoard on bags of chicharon to take home with me. Lastly, I always have to visit La Marea Pastry Shop in Crossroads, Banilad. Such was the case again during our recent visit to the Queen City of the South last December. After having a nice romantic dinner at Maya Mexican Restaurant, Paul and I walked over to La Marea Pastry Shop for dessert! Of course, after all those years hearing my raves about it, it's finally time for Paul to have his own taste of La Marea's Warm Brownie Cup. We got a bowl of Warm Brownie Cup to share. I noticed that the container has changed from those pretty ramekins to a disposable paper bowl. Initially, I was worried that the change of container could affect the taste and quality of the cake but luckily, it tasted just as yummy and gooey as I remembered it to be. 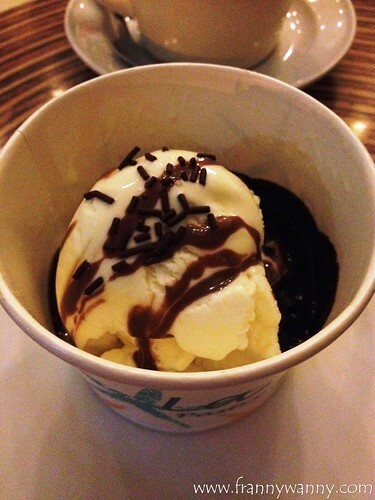 The brownie cup was served warm just as how it was freshly baked and topped with a big scoop of vanilla ice cream. Yum! I've had this so many times and I love love love it still! 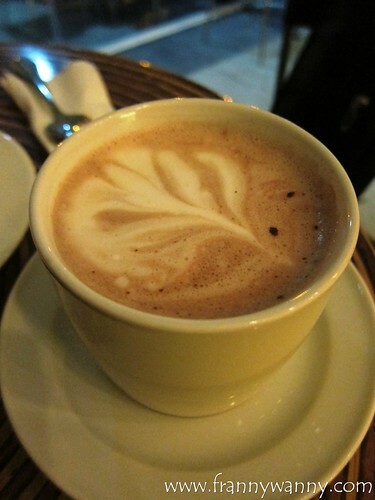 My chocoholic husband wasn't satisfied with just the Warm Brownie Cup that he also ordered a mug of Hot Chocolate. He said it was very milky and the sweetness level was just alright. There wasn't anything spectacular about the drink though as according to him, it tasted pretty much as how most cafe hot chocolates do. 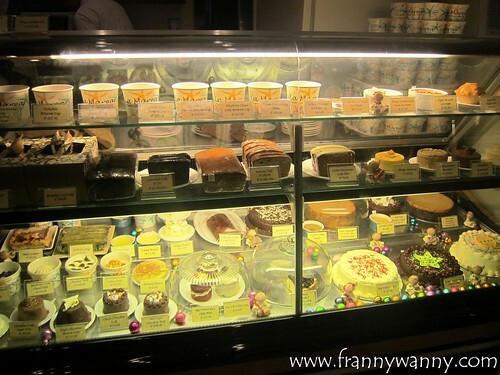 La Marea Pastry Shop is located at the Crossroads, Banilad, Cebu City. It also has branches at IT Park and Paseo Arcenas in Cebu.